Is it worth the money to continue operating the Royal Military College? “I would like to thank the Auditor General and his team for undertaking this thorough examination. My expectations for the development of Officer Cadets at the Royal Military College of Canada are high, and this report will help guide how we educate, develop and prepare officers to for the challenging task of leading the women and men of the Canadian Armed Forces. I welcome the Auditor General’s findings, and I agree with the recommendations. In fact, over a year ago, I ordered a Special Staff Assistance Visit (SSAV) in response to my concern over the learning environment at the College. When I received the SSAV report earlier this year, I ordered immediate changes to this critical institution, and I am pleased that many of those recommendations, which are consistent with the Auditor General’s report, have already been implemented or are in the process of being implemented. Exploring ways to reduce operating costs per student, and to assess the cost structure to ensure it is appropriate given the specific College’s mandate as a military academic institution. Investing in leaders and mentors to guide our Officer Cadets through their leadership development in order to ensure and adhere to the highest standard of leadership, conduct and ethical behavior. Improving the selection and training of military training staff, and to increase the ranks of supervising military staff to ensure a higher level of experience to mentor our Officer Cadets. Déclaration du chef d’état-major de la défense en réaction au Rapport de l’automne 2017 du vérificateur général du Canada. “Je tiens à remercier le vérificateur général et son équipe d’avoir réalisé cet examen exhaustif. J’ai des attentes élevées quant à la formation des élèves-officiers au Collège militaire royal du Canada, et ce rapport aidera à orienter la manière dont nous éduquons, formons et préparons les officiers pour la tâche difficile de diriger les femmes et hommes des Forces armées canadiennes. J’accueille les résultats du vérificateur général, et je suis d’accord avec ses recommandations. En fait, il y a plus d’un an, j’ai ordonné une visite d’aide d’état-major spéciale (VAEM) en raison de mes préoccupations concernant le milieu d’apprentissage au Collège. Lorsque j’ai obtenu le rapport de la VAEM plus tôt cette année, j’ai ordonné des changements immédiats à cette institution essentielle, et je suis heureux de constater qu’un grand nombre de ces recommandations, qui s’alignent avec le rapport du vérificateur général, ont déjà été mises en place, ou sont en train d’être mises en place. l’amélioration des processus de sélection et de formation des instructeurs militaires, et l’assignation de grades supérieurs aux postes de superviseurs militaires, pour veiller à ce que les hommes et femmes qui occupent ces postes possèdent une plus grande expérience pour servir de mentor à nos élèves-officiers. I have read this article as well as the excellent comments by 17160 Stephen Kalyta and 27472 Eliza Bruce. I agree with the Canadian value of being able to thoughtfully and respectfully disagree with our leaders in order to hold them to account. Another value that I also agree with is total respect for women in the Armed Forces. I recall respectfully disagreeing with a petition being circulated to keep women out of RMC. I also recall putting flowers at the grave of 22458 Nichola Goddard at Beechwood Cemetery even though I didn’t even know her. Some things cannot be measured by the operating cost per student. The problem with using normalizing metrics such as cost per student is that they mask many of the other factors that are relevant. I doubt that most undergraduates log over 70 hours a week on academics, second language training, physical fitness and leadership. I have spent a career teaching at universities and I think that these metrics highly distort the comparisons that they are trying to make. What about the summer training programs. There is a time to concentrate on academic programs and a time to concentrate on military training. They do not necessarily occur at the same time. I really think the auditor general’s report is highly flawed. Yes, improvements can always be made. However, to achieve a dual result of strong academic education, and military leadership requires resources beyond what is found in small universities. In addition, the report does not take into consideration the benefit that the college contributes to Canadian society through the work of the graduates that occur outside of the military. The graduates are endowed with a sense of service to their country beyond what is found in the military. Simple cost per students does not come close to reflecting that. I may have missed it but when AG reports appear, is there a listing of those on his team who did the research and made the recommendations? 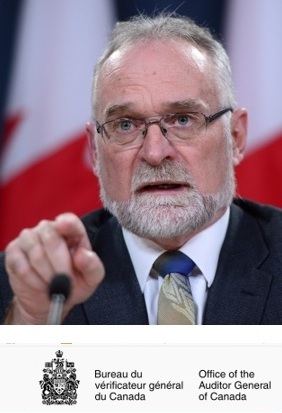 It is one thing to have the AG assess “cost-worthiness” from a business perspective and perhaps even as cost-effective value overall to both the defence community and the Cdn public. It is another matter to have a team totally capable of assessing whether (more or different) military training should displace education requirements — mostly because they heard officer cadets say they do not see value in the current military training. I used to think that as well when I was a cadet. It occurred to me many years later that although the basic leadership aspects were addressed at RRMC/RMC and at summer classification training, more ethereal, historical and theoretical military leadership and management courses (as they styled then) became very handy later in one’s career. My point is that I am wondering who was on the AG’s team and what were their qualifications to make their assessments/recommendations. A solid review of operating methods is always a good thing. The stature of such reviews benefit by public knowledge as to who put those reviews together. Methinks. Again maybe there is a listing somewhere and I have missed it. “…à déterminer si la Défense nationale avait veillé à la bonne conduite des élèves-officiers et du personnel du Collège militaire royal du Canada”. Pour moi, bien se conduire au Collège signifie respecter sa belle devise: Vérité – Devoir – Vaillance. Facile à dire, pas toujours facile à faire. Je trouve son omission dans l’audit bizarre. back to Paul Crober………….yes the list of the audit team appears near the end of the report. There is no indication as to what qualifications, if any, those persons have that may be relevant to this or any other audit. What has happened to RMC? My reaction was not to attack the report as there are some damning things in there. We always knew RMC was expensive per capita, but it was highly effective, and ex-cadets stood high in military success and longevity of CF careers. If cadets are under performing, using drugs, not setting examples in senior years – then we have a huge problem. ROTP Civvy U and DEOs always envied RMC. Have people forgotten the long term positive effects of ‘military socialization’ of having the officer cadet 24/7 after having attracted them at a young age in the first place. I was stunned last year in Ottawa to meet a second year cadet at the local gym at grad time, who told me ‘he had not been tasked for grad parade’. Something is wrong. I didn’t realize how much I missed out on by leaving RMC after first year until later on when, as a partner in a Toronto- area mechanical contracting company from 1985 onwards, I had to apply the concepts of leadership taught there to our unionized labour force. I was a dumb kid back then, and I had to learn the basic concepts of leadership the hard way. I believe that RMC is an essential institution in that it serves to preserve Canadian traditions, develops skilled leaders and serves to provide Canada with a nucleus of individuals whose talents can be used in a myriad of situations. Some may feel that I have just issued a sweeping generalization, but my interactions with ex-cadets at a few functions in the last 46 years have, I feel, shown my sentiments to be valid. 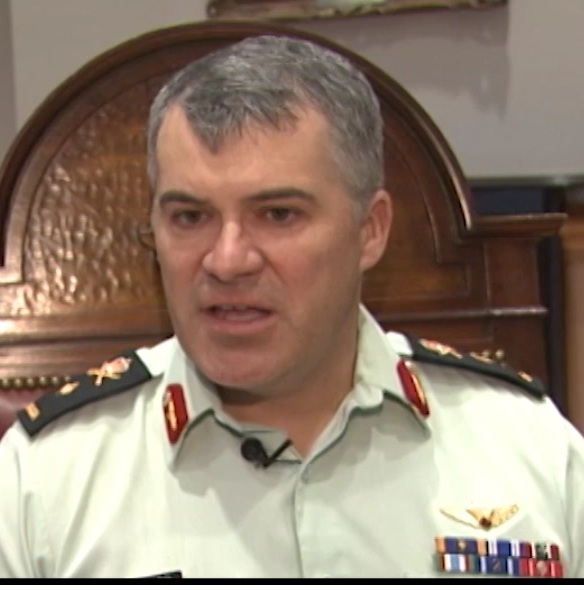 Regardless of the cost per individual student, the Canadian military colleges must be allowed to operate and to change with the times in a manner deemed appropriate by those in command. RMC and CMR are great schools, but the basic cost ratio argument will come back in the future, so the CMCs must prepare themselves. The College must produce ideal officers. The specific ideal is different for everyone, but a common core ideal is fairly obvious. We must revise how cadets are trained, which activities are superfluous; which are needed. The first step is to ask “Are we so sure of our methods that we never question them?” the other steps require that no stones be left unturned. Should the College offer so many different degrees? Can scientific research benefit the budget via patent/royalty rights? Do we need all those varsity teams? They cost. Sure the Colleges proud themselves with the sports teams, but what is most needed for future officers? Officers need to be in good shape, plus I think each one should have a black belt in some martial art; be a marksman; and be able to play in sports team. Do we need all those parades during the year? When one is on the parade square in winter, one wanders the utility. Do we need all those show-off parades, like the Ontario RAWF or others? I’m not disputing Remembrance Day. Do we need the weekly drill classes as third and fourth years? By then it is seen as yet one more unnecessary task. Training should not be a long list of mindless activities one as to do to in order to get tickets punched until retirement. The enemy might not be so mindless. Do we need all those staff positions? Personally when one is told nothing can be done for reclassification one wonders the use of the SOC position. Do we really need padres? I believe in the Supreme Being, but that is personal. Could something be done concurrently with the Canadian Coast Guard College? There are so many questions to ponder, so many things to review, an honest review board with junior and senior officers and regular tax paying civilians is needed. Francois, your comments are very interesting, especially your views on the essential qualities of an “ideal officer”. Do you have a black belt yourself ? If so, in which martial art ? The CF, RMCC and supporters can deny, downplay or ignore this report at their own peril. This cat is out of the bag and it would be challenging to put it back. The colleges are weak on delivering key differentiators such as leadership and professionalism. These are supposed to be the intangibles which justify having a four-year university to serve a force of 63,000 personnel. Vance’s response is just another version of what used to be called “putting the M back in rMc”. Yet in the end, academics will always win the day if you want to be a degree-granting institution. This is an opportunity to consider real alternatives. 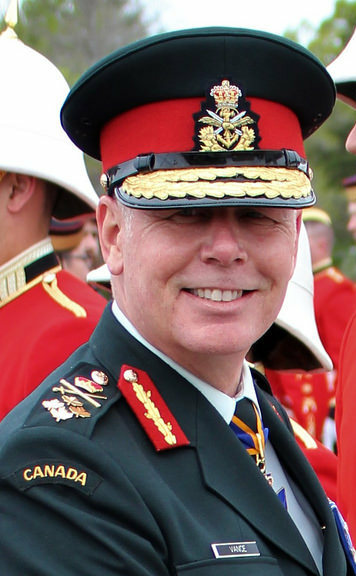 My suggestion is to close the colleges and train aspiring officers on a Canadianized version of the Sandhurst model, which would focus on the of leadership, skills common to all members of the officer corps, and professionalism. Dear Mike, to answer your question, I did some judo for few years at the College, liked it, though I did not pursue it later. In hindsight it would be more beneficial to the military aspect, that all would practice self-defense. King Arthur: What is the greatest quality of knighthood? No poetry, just a simple answer. Merlin: Alright then. Truth! That’s it, truth. When a man lies he murders some part of world. You should know that. We’ve seen this in modern times, an ex-general lies to the world at the UN and countless Iraqis died as a result. An officer as to put his career aside when the times require it, to say no to ill advised politicians and war mongers. As an example, NATO officers should have said no to bomb Libya to oblivion for no good real reasons. If we always blindly obey orders then we are no better than the accused at the Nuremberg trial. Others times though we should fight as hard as possible, against terrorist groups such as ISIS. It is important also for officers support each other in time of difficulties. Perhaps, if more people would have supported the Gracchus brothers back in ancient Rome, we would live in a better world today. To have a wide perspective requires broad studies for young officers, not just technical courses, but humanities, to learn how the world and humans work. This we all know. Thank you for your response. Looking at your number, you would be a few years younger than me, I entered RMC in 1976 and I believe you entered CMR in 1979. I would completely agree with you that some form of martial arts training would be highly beneficial to cadets. When I was at RMC 40 years ago, very little was available in this regard. The main “self defence” training that was provided was some introductory instruction in boxing, followed by the time-honoured Recruit Boxing Competition (which I understand was abolished a few years later). For most cadets, that was the extent of the self-defence instruction they received. You suggest in your earlier comments that it would be desirable for officers to hold a black belt in some martial art. I would agree that this would be ideal, but the problem is that with many different schools of martial arts out there, there is no uniform standard for what constitutes a “black belt”. I know from personal experience that to obtain a black belt that denotes any real level of skill, years of dedicated training is generally required, and this is beyond the scope of what can be accomplished in a few short years at the College. That being said, with proper instruction and practice, it is possible for most people to acquire a basic foundation of skill and knowledge that can be used in a real-life self-defence scenario. A good example of the success that has been achieved in this regard is the martial arts program introduced by the U.S. Marine Corps in the early 2000’s; this has been a huge success for the Corps. If you did judo at the College and enjoyed it, I would encourage you to consider going back. I myself started late in life (almost 43), got my brown belt almost two years ago, and at age 60 am still practicing. I met one gentleman last year who got his shodan (1st degree black belt)last year at the age of 72. I am 100% in agreement with your other comments. You sound like a real samurai yourself, and I would be pleased to meet you some day at an Ex-Cadet event. In the meantime, thank you for sharing your views. By the way, one other thing I forgot to mention is that 10143 Mike McCartney is also a brown belt in judo, and from what I am able to discern, he is also a real samurai, though he may be reluctant to admit it. So there seem to a be a few of us in the same boat that are involved in this discussion.